Any band who's been around for awhile and is considered 'good' by the masses will most likely have a few albums that are thought to be better than all of their others. But every once in awhile lightning strikes and a group will put out an album that just blows everything else away. An album that is played for the first time and floors even the most jaded critics - - - one that will become the backdrop in the lives of countless fans - - - and one that becomes a signature chapter in the history of that band. And for Christian metallers Stryper, that album was the 1986 release of their third studio album, To Hell With The Devil. Armed with both heavy hitters and haunting, tender ballads, from the first note of the first song and for the next 41 minutes-and-change of play time Stryper had without a doubt delivered something that would not only stand the test of time, but be revered as an exceptional musical achievement. The first Christian metal album to achieve platinum status ever, To Hell With The Devil was released on October 24, 1986 and very quickly propelled the band into mega-rock star status. Producing massive hits like the songs "Free," "Honestly," and "Calling on You," with this album Stryper also became the first band to have two songs in MTV's Top 10 simultaneously. 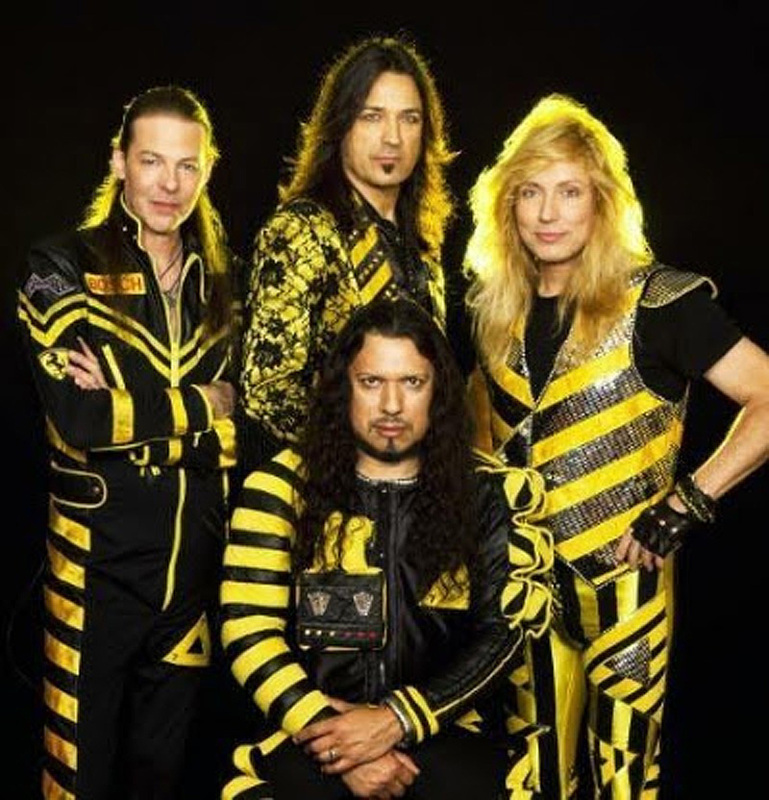 So now with 2016 being the 30th anniversary of this iconic, multi-platinum, and Grammy nominated album, Stryper has taken to the road to celebrate this significant anniversary in style. Performing the To Hell With The Devil album in its entirety and then playing several additional fan-favorites from other albums as well, Stryper's Michael Sweet, Oz Fox, Robert Sweet, and Timothy Gaines will even be donning their original To Hell With The Devil tour outfits as well, transporting audience members back into this very exciting time for the band. "It doesn't feel like 30 years, it feels like half the time – 15, maybe 20 years. Not 30," explained Sweet in earnest, "I can't believe how quickly the time passes here on Earth and that's why we all know it's important to savor every single second, and I try to do that. I really do." In regards to just how special of an album To Hell With The Devil is to many fans, Sweet explained that the band feels the same about it as well. "It's definitely a special album. There are albums that are recorded really well and written really well and they're really good, and then there are those albums that have that special something that you can't really explain, and this album obviously has that. And I remember that that was the sense when everyone listened to it for the first time, we went to the label and played it for them and you could just see it, people were coming out of their skin. They were like, 'Oh my god, this is going to be big!' And those were the feelings that were expressed and it wound up being really big." Sweet went on to say: "We didn't sit down and plan it that way, it's not like we said, 'Ok, we've got to write a big album,' those songs just came from the heart like any album and everything fell into place. We got the right studio, we got the right sound, we had the right songs, we had the right mix, everything just worked. The title, the artwork, everything, and the timing of it. We were in the right place at the right time." Having kicked off the tour on September 29 and running through November 21, Stryper will be bringing this must-see tour to the Windy City on Halloween night, October 31 at Chicago's House of Blues. And being on Halloween it creates a fun opportunity for some concert goers to wear some special outfits themselves – maybe even some devil costumes for fun? Sweet laughed at this, "I actually hope we see that, yeah. I mean, we love to have fun, we laugh a lot, we're all clowns. I think that would be great." Then Sweet said: "And if there are going to be people dressed as the devil then we have to have some dressed as angels too." So grab your halos and horns and head to the House of Blues on Halloween night for Stryper's "To Hell With The Devil Anniversary Tour."